McCann New York's high-profile "Fearless girl" sculpture on Wall Street has won the Glass Lion Grand Prix at Cannes. 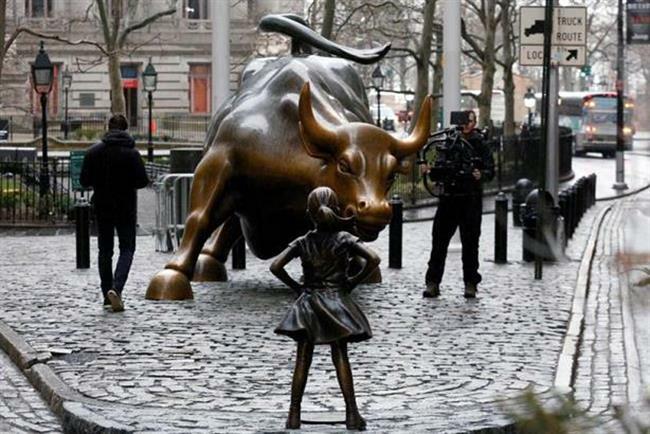 The work, which depicts a young girl standing up to the famous Wall Street charging bull statue, has become a popular selfie spot in New York’s financial district. Heralded as a symbol of female empowerment, "Fearless girl" was created by McCann for State Street Global Advisors. The agency also won a bronze in the category for Microsoft’s "See what’s next". Weber Shandwick London, the only UK agency to make this year's Glass shortlist, for an ActionAid ad promoting awareness of female genital mutilation, won a gold for the campaign. "Brutal cut" featured messages from Kenyan girls "cutting" into (or interrupting) other content such as outdoor ads and vlogger videos. The activity ran digital outdoor ads across the UK in partnership with Clear Channel. New York’s Area 23 won a silver for "iTBra, the wearable that detects cancer" for Cyrcadia Health and a bronze for "The trafficking exam" for Polaris. Today's key takeaways from Cannes: where are all the female directors?